Medical Air Compressors and vacuum system- Vacuum Pump - EVP Vacuum Solution! With the rapid development of science and technology, the renewal of medical equipment is faster and faster, and the service life is shorter and shorter. It is very important for hospitals and medical and health institutions to equip with safe and reliable equipment. This paper makes a preliminary analysis of the application of vacuum system in medical compressors air system. Medical Air Compressors, air compressor, freeze dryer, management and maintenance of medical gas system is also known as life support system, including medical positive pressure compressed air, oxygen, carbon dioxide, laughing gas, negative pressure vacuum suction system, anesthesia exhaust emission system, and so on. It is an important infrastructure to provide medical services for patients. Medical compressed air system is mainly used to provide positive pressure air for ventilators and anesthesia machines to support patients’breathing or operation anesthesia. It also participates in infant care, driving surgical tools, testing of medical equipment, drying of medical equipment, power of dental equipment, pipeline sweeping of various air source systems, etc. The system consists of air compressor, gas storage tank, compressed air precision filter, dryer, pressure reducing valve, control and protection device, pipeline and terminal. Why do medical compressorsair systems need vacuum systems? 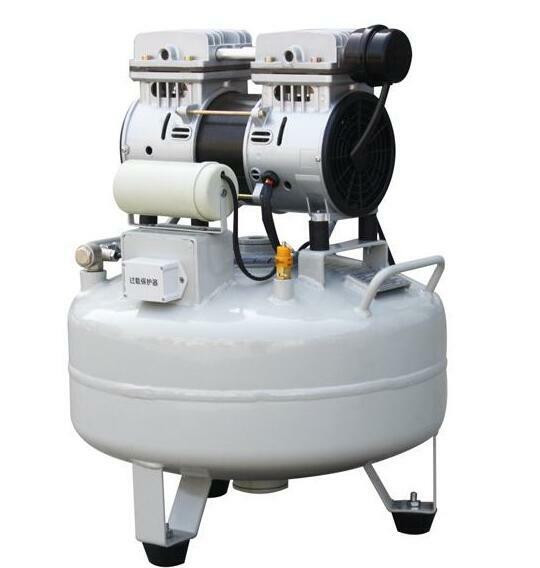 Medical air compressors system optimizes precision system, cooling, drying, sterilizing, degreasing, dedusting and so on, so that air can reach high quality medical standards. There are several steps that need to be done better with a vacuum system. Medical compressors air is one of the most important medical gases in the central air supply system. It mainly supplies a ward, an intensive care unit, a rescue room, an operating room and so on for patients’breathing. 1. As the power of ventilator in intensive care unit and rescue room. 2. Provide oxygen/air mixture for patients, especially severe patients. 3. Power as a pneumatic tool in the operating room. 4. Power as a dental pneumatic tool. 5. As the power of some equipment in the supply room. 6. As the power of physiotherapy and rehabilitation equipment. 1. Low noise and vibration. 2. Air cooling, convenient and easy. 3. It still works well in high temperature environment. 4. Maintain good pumping speed under low vacuum pressure. 5. Built-in filter core and filter can achieve high filtering effect. 6. Built-in one-way valve to prevent vacuum oil countercurrent. 7. Simple structure, small size and space saving. 8. Multifunctional concept, can cooperate with the special configuration of customers. What are the characteristics of the application of vacuum system in medical compressors air system? 2. The air pressure is stable, the operation is simple, and the unmanned intelligent control is realized. 3. The system is stable and can effectively regulate and control the flow and improve work efficiency. 4. Vacuum systems for medical compressed air systems can provide medical air that meets the certification requirements even if there may be high concentration of environmental pollutants in the intake. 5. Can continuously provide clean air in key applications.